If our brains don’t get enough water, our ability to concentrate can decrease by 13% and our short term memory can decrease by 7%. By the time we are thirsty we are usually already dehydrated. Of course this benefit is provided by both tap water and bottled water, but all the health benefits associated with bottled water work for tap water too. Why can’t I reuse my disposable bottle? Most bottled water sold is produced in bottles that are not made for reuse. This may cause health issues as the plastic degrades and particles leach into the water. BPA stands for Bisphenol A, an industrial chemical used in the production of some plastics. Research has shown that BPA can seep into foods and beverages that are contained in those plastics. There are concerns that BPA could have long term effects on health, especially for children. 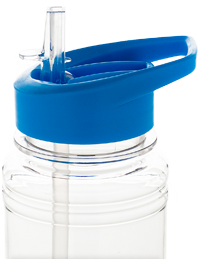 refillit is a BPA Free reusable bottle, so you can drink to your heart’s content and stay healthy.